Strike a pose in this fashion forward prom dress 4971 from Clarisse. Sophisticated and dramatic, this chic ensemble features a lace crop top and taffeta fit and flare skirt. Made in a gorgeous lace fabric,, the crop top showcase a high neckline and elegant long bell sleeves. Graceful scalloped trimming adds a phenomenal effect, while radiant stones give this gown a pop of sparkle. 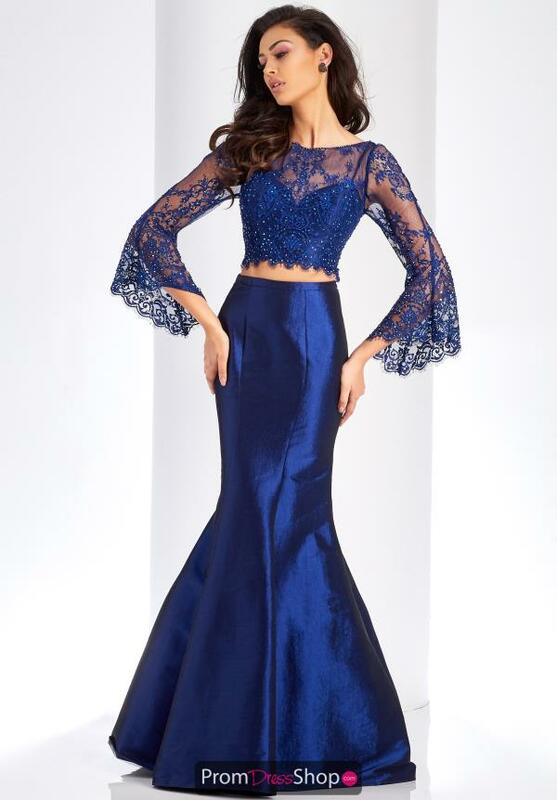 For more Clarisse prom dresses shop at PromDressShop.com.